Just as every KeyForge deck is unique, every Archon Token Set is comprised of 16 tokens that have a procedurally generated design. No two Archon Token Sets will ever be the same. 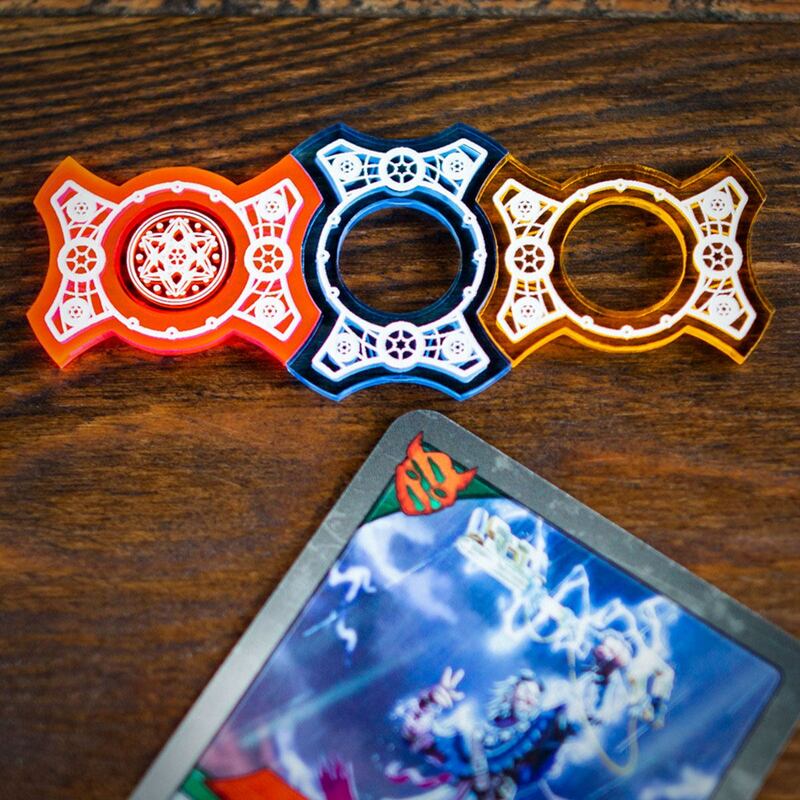 Get a unique set of Amber to match your unique KeyForge deck! Every Amber Token Set is completely unique. Literally. Best when paired with our Primary Token Set! 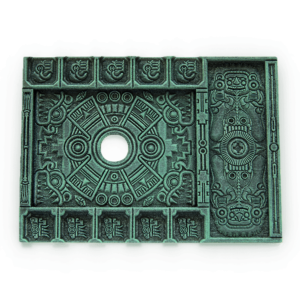 Interested in getting all of our Archon Tokens paired with a couple of practically free KeyForge decks? Check out our Deluxe Starter Set! 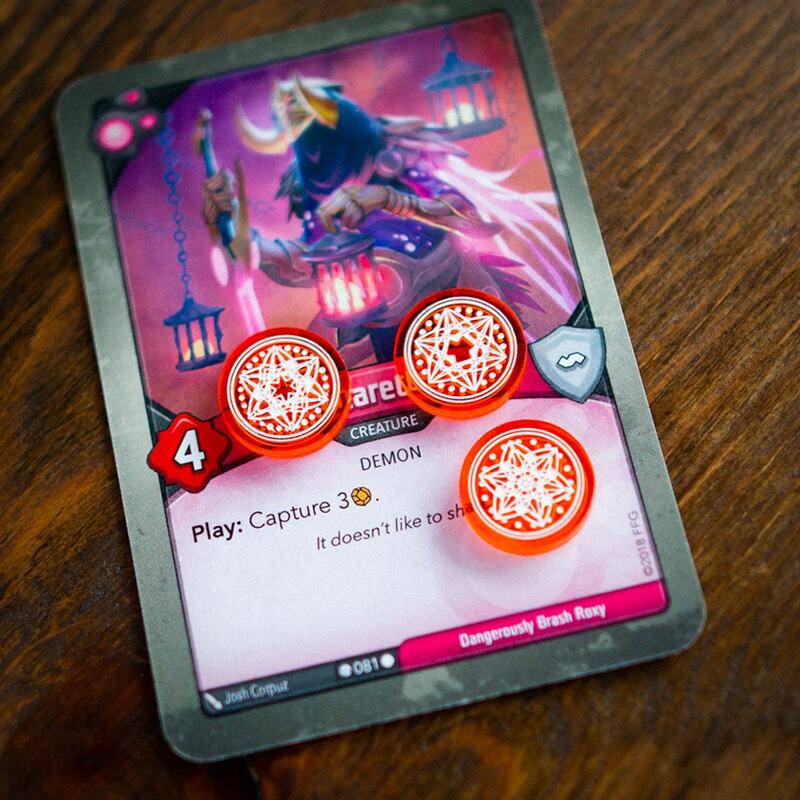 Our Amber Tokens started with the very first conversation we had about tokens compatible with KeyForge – “you know it is a unique deck game, why not offer a unique token set?” Everyone laughed – except Jonathan, our lead designer. 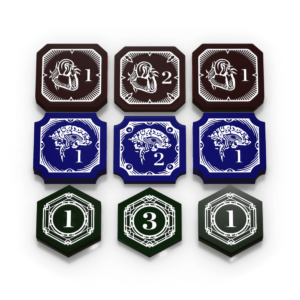 That next week he had a very rough proof of concept with a few randomly generated tokens, and the obsession began. After more than a month of tweaking and reinventing the process, we found ourselves staring at the very first batch of entirely unique and absolutely gorgeous Amber Tokens. The excitement was palpable. 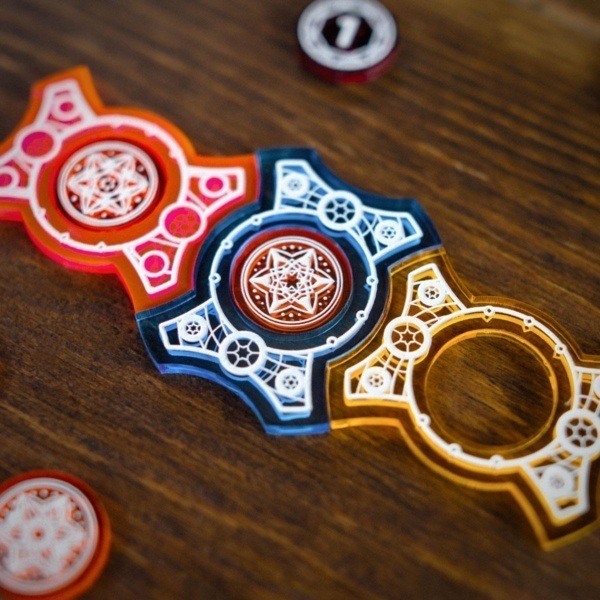 Similar to every KeyForge deck, every Amber Token Set is randomly generated under a set of constraints that strike the perfect balance between a genuinely unique design and an aesthetically fitting and pleasing token. 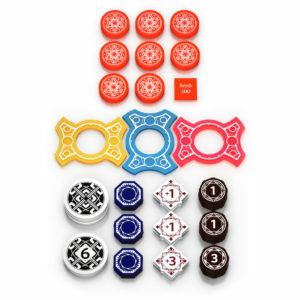 Each set of 16 tokens has the same design, and that design is different from any other set that has been or will be produced. 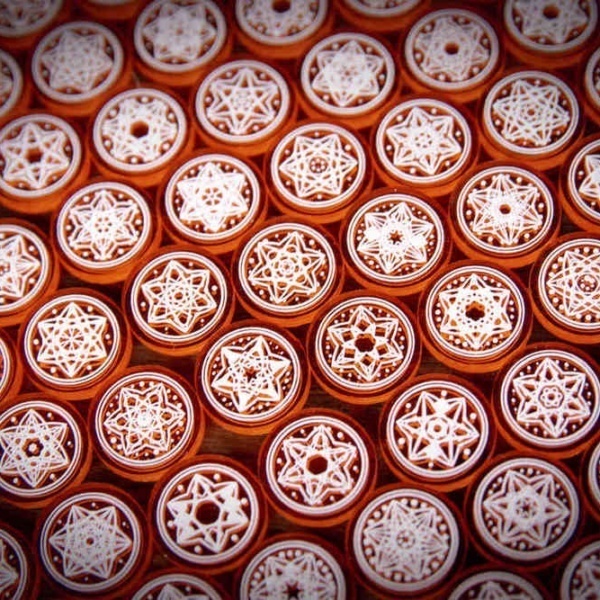 When you buy a set of Amber tokens, you have a truly unique representation of your Amber that will never be produced again – and we think that is exactly what KeyForge demands. This set includes 16x Amber Tokens, all with the same entirely unique, randomly generated design. No two sets will ever be the same. Each Amber Token is double-sided and paint-filled with high contrast white paint on a vibrant light orange acrylic. I had a set missing one, received 15/16 and they responded very quickly to me. I didn’t think I would be able to get a single amber replaced. I was wrong. They don’t like when they say they pride themselves on being awesome. Other than that the feel of them is fantastic. They are smaller than they look and that’s a positive. 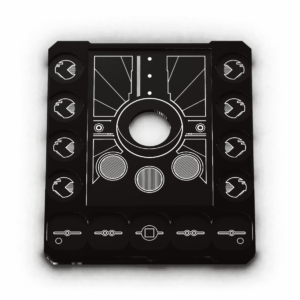 You will fit a lot of these on s card without covering the text.